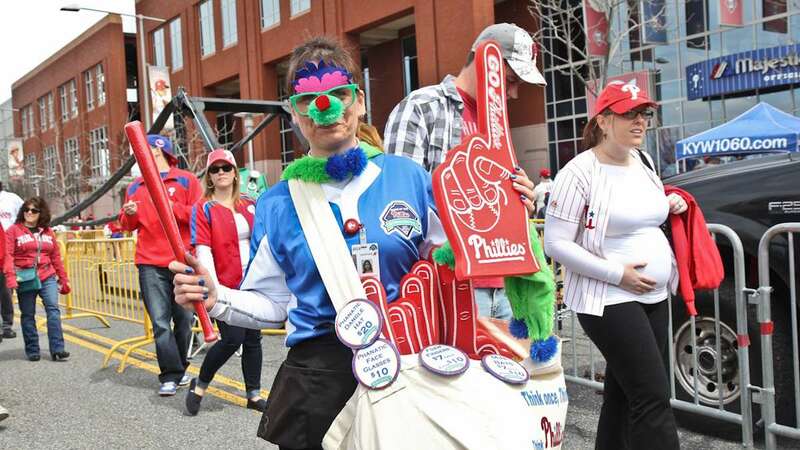 The Philadelphia Phillies played their home opener Tuesday afternoon, and fans who arrived at the stadium to enjoy the Opening Day Carnival were overjoyed to be back at Citizens Bank Park for another season. 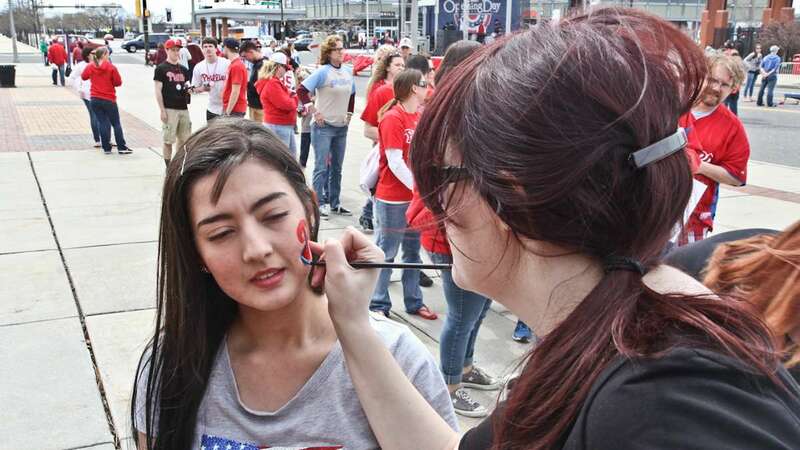 The celebration included Budweiser booths, crab fries, face painting and complimentary vanilla caramel swirl ice cream from Turkey Hill. 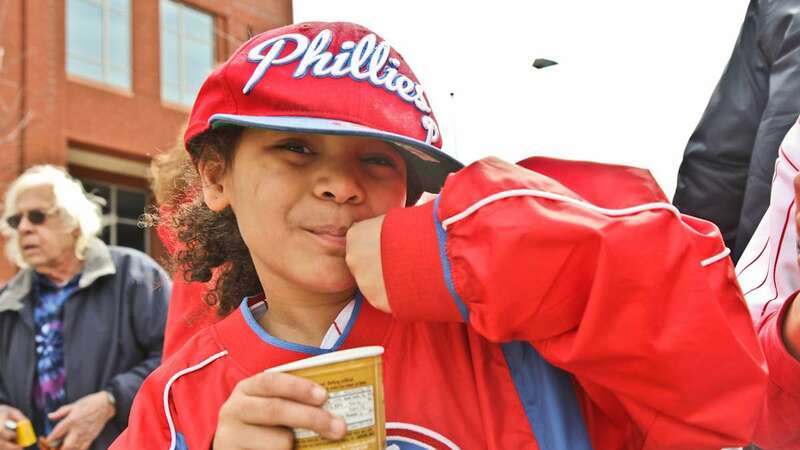 Faith Beaty, 7, and her brother Shaun, 9, devoured their frozen treats — even though their excitement overshadowed any sugar rush as they entered the stadium for their first opening day game. 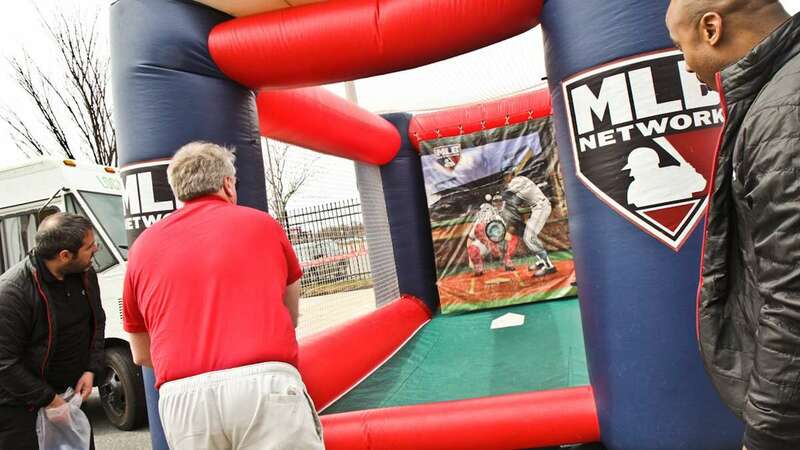 Tom Hill threw a ball at an image of a catcher against a backstop and received a finger-sized fan finger — compliments of Major League Baseball. 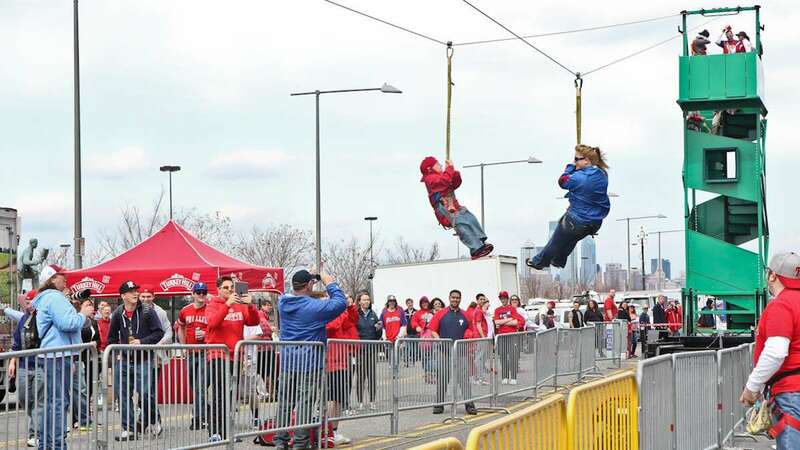 At his 32nd Phillies home opener, Hill said he knows what the team needs to win this year: “Ryan’s gotta hit home runs.” For the first time, the carnival featured a zip line and bounce house, and fans lined up to try it. Jessica Kinsey said that as she and her son, Jaxson, 5, glided down the line, she couldn’t stop laughing at his face. “I freaked out!” said Jaxson. 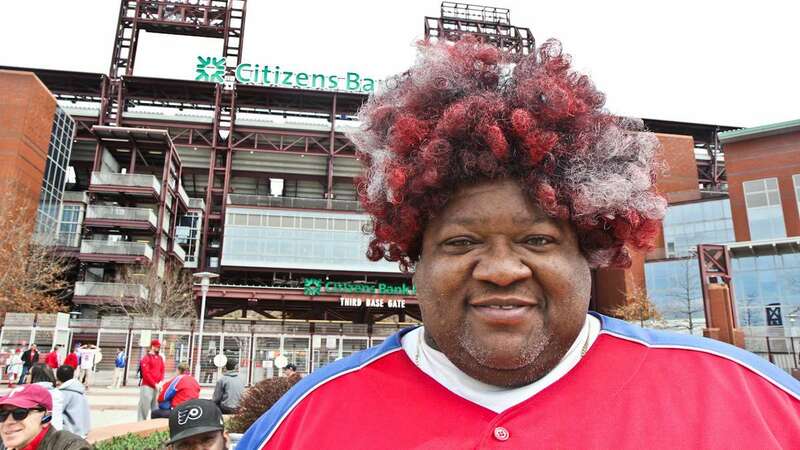 At the front gate, Monty Gee, who calls himself a “gate greeter,” wore a red and white curly wig. He attends as many Philly sporting events as he can completely draped in corresponding gear. 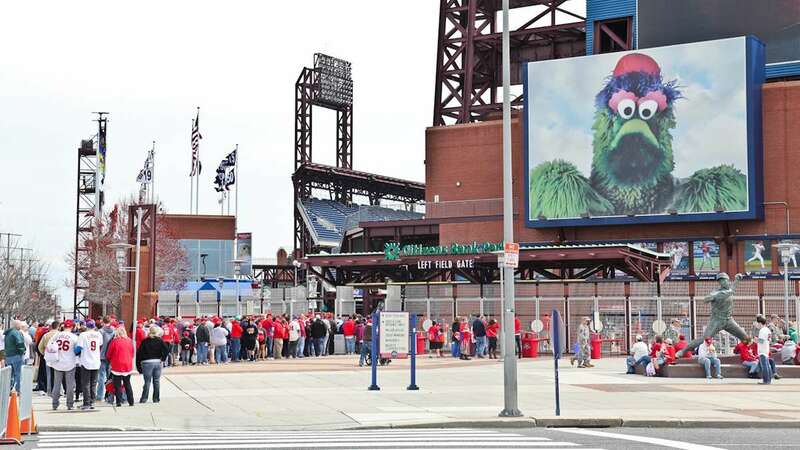 He said he’s known for a song he wrote and sold to the Phillie Phanatic in 2010 called, “Do the Phanatic Dance” and for bumping bellies with the mascot. 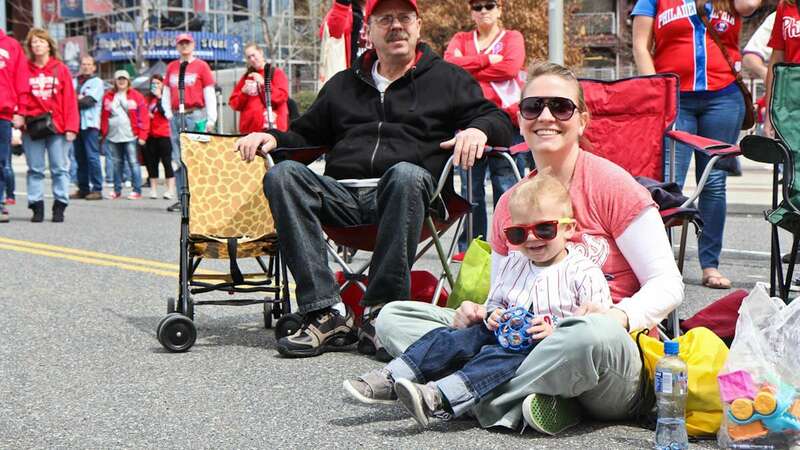 Danielle Tomrell and her son, Mylus, 2, cheered their husband and father on, and he pumped up the crowd on the carnival stage as lead singer in the band Go Go Gadjet. 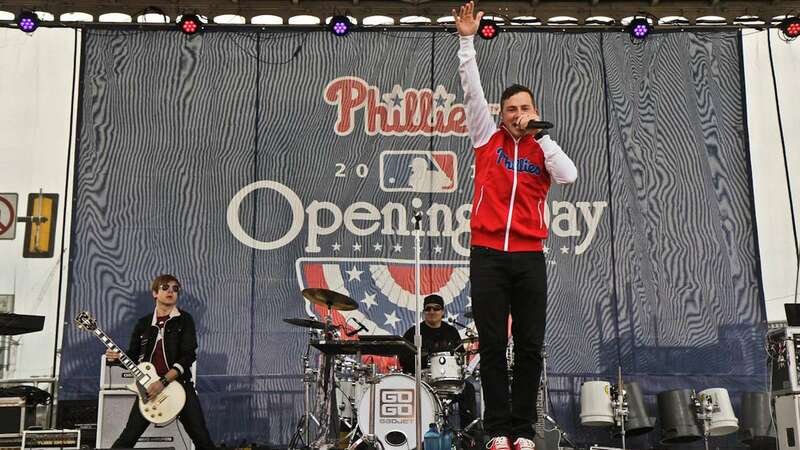 Tomrell said she was sure the Phillies noticed how “on top of their game” the band is at the moment and that’s why they were asked to perform. She added that she hopes the team itself also ends up on top.